On the second night of Chanuka, Friendship Circle of Jerusalem celebrated people of all abilities at a Menorah lighting at the famed Mamilla Avenue. A night of uplifting niggunim, accompanied by speaker, Rabbi Mendel Kalmenson, and guest of honor, Michael Oren. Rabbi Manis Friedman and his son singer Benny Friedman headlined a large 19 Kislev gathering at Jerusalem Great Synagogue. 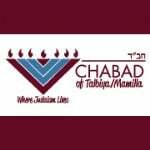 Chabad of Talbiya in Jerusalem's ‘Light up Mamilla Festival’ honored children of Israel, achievers of Israel and recent Olim to the country. Thousands attended Chabad of Talbiya in Jerusalem’s Chanukah Menorah lightings at Mamilla, which were each dedicated to another one of Israel’s heroes. When Shluchim Eliyahu and Chana Canterman wanted to hold an event in the famous Mamilla Avenue mall in Jerusalem, they were met with opposition until a YouTube clip was shown. What it really means to be a hero and the need to stamp out labels in Judaism were address at a great gathering at the Great Synagogue. Tears of sadness mixed with tears of joy as families of Operation Protective Edge who lost dear family members this past summer lit the Menorah in Jerusalem's Mamilla neighborhood. Over 100 "lone soldiers" in the IDF were saluted at a special Menorah lighting in the Talbiya neighborhood of Jerusalem. Special children and a 94-year-old oleh to Israel were honored at Chabad of Mamilla's inspiring Menorah lightings in Jerusalem.